Night After Night: Sitting and spinning. Ever since I started this blog last year, I've ended almost every post with a playlist. These have generated some delight, some curiosity, and the occasional question. The latest comes from reader Doug Gary, who asked in the comments field of last night's post about Janine Jansen whether my playlists imply recommendation of the items mentioned. The short answer is yes. And if you'd prefer not to follow me into something of a solipsistic ramble, start scrolling down the page now, and stop when you come to the next photo. My playlists actually predate this blog. Back when I was a frequent contributor to the lively jazz-related bulletin board Speakeasy on the Jazz Corner website -- where I posted hyperactively under the nom du pixel "Other Steve," because I was one of about ten Steves there and also because so much of the music to which I referred was "other" than jazz -- the forum to which I contributed most frequently was one simply called "What Are You Listening To?" This was, and continues to be, a place where contributors simply rattled off lists of the discs they'd been spinning lately. More-ambitious posters might also include capsule reviews. But mostly it was one list after another, as well as discussions sparked by a reader inqiring about an item on someone else's list. At Speakeasy, I tended to list pretty much everything at first -- the good, the bad and the ugly. (Sometimes, if something I'd spun was truly awful, I might add that I'd only made it through a few cuts.) 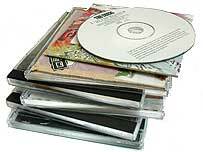 But over time, I listed only those discs that had truly contributed something to a day's mental or emotional ambience. I came to look upon these tallies as something of a diary in code. Some lists seemed to imply a mood, especially those all-death metal days. Some provided a clue to one or another project I was working on at the time, while others revealed time spent with old friends or new acquaintances. Most were a combination of all of these things. One reason I drifted away from Speakeasy was that I came to view my obsessive list-making as overly narcissistic within a social context -- whereas on a personal blog, they seemed to make perfect sense. So when I launched Night After Night, the playlists came along, but they evolved. And thus: If I namechecked absolutely everything I stuck into my ears in a given day, the lists would be absurdly long. They would include items to which I have no intention of ever returning, and they would also include a lot of things listened to partially, or in a cursory manner. So nowadays, the basic rule of thumb is that my playlists include everything that made an impact during the day (or days) since the last post, everything that taught me something, every morsel of nostalgic comfort I retrieved from the archives. Basically, everything I enjoyed. In that sense, the playlists can be construed as recommendations. But I also know that my tastes are far too catholic (and idiosyncratic, probably) for these tallies to serve as consumer advocacy. I reserve that particular function for my CD reviews -- some of which appear here, but most of which appear elsewhere -- while hoping that you'll continue to indulge playlists that really don't tell you much about anything other than me. 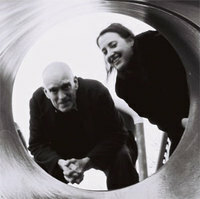 New Yorkers, please take note that Rodman and Swallow are playing at Joe's Pub on Friday, May 12 at 9:30pm. Were it not for a previous engagement, I'd surely be there myself. And, having spent most of tonight explaining why I prefer to maintain some bit of ambiguity about the playlists, I'll close by mentioning that the final item on tonight's list -- Basic Blythe by saxophonist Arthur Blythe, issued in 1988 -- was spun in tribute to the late, great pianist John Hicks, of whose premature passing I learned earlier today at Do the Math. I don't outright disagree with the Bad Plus assessment that Hicks was never heard to full advantage on record. But this particular disc -- the "with strings" session that concluded Blythe's Columbia label stint, and a major-label release so relatively obscure that Gary Giddins, a constant Blythe booster, once confessed in the Village Voice that he'd never heard it -- has long been a favorite of mine. This session was likely a pressure point in Blythe's Columbia tenure, and the saxophonist has rarely sounded so completely alive and impassioned on disc since then. The version of his yearning composition "Faceless Woman" here has never been bettered, before or since. 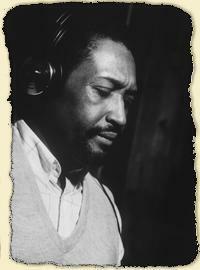 Hick's contribution to the track is right there on the leader's level; the strings offer a smoothed-out version of the countermelodies and harmonies that might once have been provided by guitarist James Blood Ulmer and cellist Abdul Wadud, while the rhythm section of Anthony Cox and Bobby Battle keeps things at a boil. The result is one of my most cherished recordings -- and naturally, it's long out of print. A thorough and entertaining response. Thanks Steve. Yes, a very enjoyable and thorough post, as Doug notes. As one of your readers, I always look forward to your playlists, and I appreciate you taking the time to explain them. I own an iPod but tend to listen to it only when I need the convienence of a small device that allows me to select music randomly without having to swap multiple CDs (meaning, when I'm in the mood for random music). I continue to listen to CDs at home and through a portable player for some of the reasons mentioned here, but also because I'm still a stickler for sound quality, and the brilliant minds who devised the iPod and file compression have yet to find a way to offer the relative convienence of MP3s without a proportional (or disproportional) loss of sound quality. we miss you on JC, Steve! the social aspect is lost here, it's not the same interacting with you in the comments field. and your focus on this blog is so skewed towards classical, I know it's not really this all-encompassing of a focus for you in real life, kind of a bummer to lose most of your perspective on everything else. It's true, Doug Gary, the iPod is poorly set up for multi-movement works, since it's aimed at a universe where all music consists of "songs. "(People who live in that universe use the term "song" even for music that has no singing in it, and are often flummoxed when this is pointed out.) I'd be interested to know what response (if any) your friend got from Apple. Oops, I should have directed my question to Lisa Hirsch--I've posted it at her blog. Sorry.